HE began his career as a technical officer in the Ministry of Mines and rose through the ranks to be managing director of one of the biggest companies in Zambia. This is former Copperbelt Deputy Minister in the MMD administration, Matthew Sampa Mulanda, 76, who died in Ndola at Ndola Central Hospital on Monday after succumbing to diabetes. Son to late Mr Mulanda, Lombe Lawrence Mulanda, said his father was admitted to Ndola Central Hospital where he passed on and he is survived by wife Gladys and seven children. The funeral is being held at 104 Kabelenga Avenue in town centre. Born on March 15 1938, Mr Mulanda did his primary education in Kasama, Northern Province before he moved to Lusaka to do his secondary education at Munali Secondary School from 1956-1960. After completing his secondary school education, Mr Mulanda got himself a passage to the United States (USA) where he went to do a Diploma in chemistry at Ithaca College in New York from 1961 to 1964. When he came back from USA, Mr Mulanda got a job as technical officer at the Ministry of Mines in Kitwe in 1964 at the age of 26. He worked for the Ministry of Mines for six years before he resigned to join the then Northern Breweries and Now Zambian Breweries in Ndola as a trainee brewer. Having worked for a year at the Breweries and after proving to be a good brewer, the company decided to sponsor him to do a Diploma in Brewing at Herriot Wath University, Edinburgh, in Scotland. He completed this Diploma course in 1974. When he came back from Scotland, the Breweries elevated Mr Mulanda to the position of Senior Brewer and because of his dedication to work, he was promoted to a Brew Master (production manager) in 1976 and he served in this capacity up to 1979. As his work capability proved positive, Mr Mulanda was in 1979 transferred to Lusaka on yet another promotion as a Brewery Manager for the Breweries plant in Lusaka. He worked for eight years in this position in Lusaka before he was transferred back to Ndola in 1987 but still as Breweries Manager. He continued working as breweries manager for a good seven years in Ndola and after accruing experience in brewing, he was in 1994 appointed managing director for Northern Breweries Plc. – the position he held until 1997. Former employee of Zambian Breweries and former Zambia International footballer, Moses Kabaila said when he learnt of Mr Mulanda’s demise that it was sad that the man was no more. Mr Kabaila said he came to know Mr Mulanda when he was working for the Ministry of Mines in Kitwe and when he (Kabaila) was a footballer playing for Kitwe United way back in 1965. He lamented that for a long time, he had good connections with Mr Mulanda whom he described as an understanding and helpful man. Mr Kabaila said he did not know that later in future he would get employed by Zambian Breweries and work with Mr Mulanda, but this had to happen in 1971 when he got a job with the company where he found Mr Mulanda working as a trainee Brewer. “It is sad news that he has left us. I knew Mr Mulanda in Kitwe when I was playing for Kitwe United. I was later employed by Northern Breweries in Ndola in 1971 and I found Mr Mulanda working there as a trainee brewer. I worked With Mr Mulanda up to 1999,” said Mr Kabaila. He said he will remember Mr Mulanda for the role he played in promoting him from a Senior Sales Representative to a Sales Manager. “He promoted me from a Senior Sales Representative to a Sales Manager for the company. He also made me in charge of advertisements and I will always remember Mr Mulanda for this,” said Mr Kabaila. While still in employment, Mr Mulanda engaged in politics. He started his political career in 1992 during the Movement for Multiparty Democracy (MMD) reign. As an active party member, Mr Mulanda was elected MMD Secretary for Ndola Central Constituency, Meshi branch. According to some MMD party members in Ndola, Mr Mulanda was a good party organiser who wanted the MMD to excel. 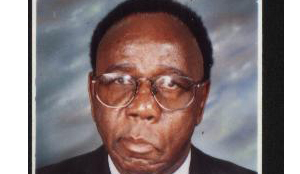 Because of his commitment as a branch secretary, Mr Mulanda was elected MMD Ndola District Chairperson in 1994. He was District chairperson up to 2006. Mr Mulanda was elected Member of Parliament (MP) for Bwana Mkubwa Constituency in the 1996 November General elections and in December 1997, he was appointed Deputy Minister for the Copperbelt Province. In 2001, Mr Mulanda was again elected MP, but this time for Chifubu Constituency and he was again appointed Deputy Minister for Copperbelt Province – the position he held up to 2006. In the political circles, MMD followers said they will remember Mr Mulanda for the fatherly role he played in encouraging the party members. Former Chifubu Constituency MP, Charles Sinyangwe said Mr Mulanda was a good organiser for the MMD and he helped a lot in bringing the members together. Mr Sinyangwe said he worked with Mr Mulanda at District office and he was happy with the way he treated his fellow members of the party as he was open to all and took them as family. He said Mr Mulanda used to advise members of the party on issues concerning leadership and when he was appointed Deputy Copperbelt Province Minister, he accommodated everyone and people were free to visit his office as long as he was available. Mr Sinyangwe also said Mr Mulanda was instrumental in ensuring that he won the elections as Chifubu MP. “As for me personally, Mr Mulanda helped me to win the election as MP for Chifubu. He encouraged me all the time and it is sad that he is gone,” said Mr Sinyangwe. As a man who excelled in his endeavours in life as technician, brewer, managing director and politician, Mr Mulanda has left an indelible mark which will never be erased as he is put to his final resting place at Kansenshi cemetery.